US 42 to L on Frogtown, L on Cardigan. The ranch you've been waiting to come on the market! Newer carpet (Sept 2018), wood laminate flooring in kitchen, living room & formal dining room. Newer roof(2016), furnace & water heater (2016) and A/C(2012), low maintenance deck with wrought iron railing & steps to yard, finished walk-out lower level with full bath & study/4th bedroom option, 1st floor laundry, fenced yard and storage shed, plenty of storage, more! 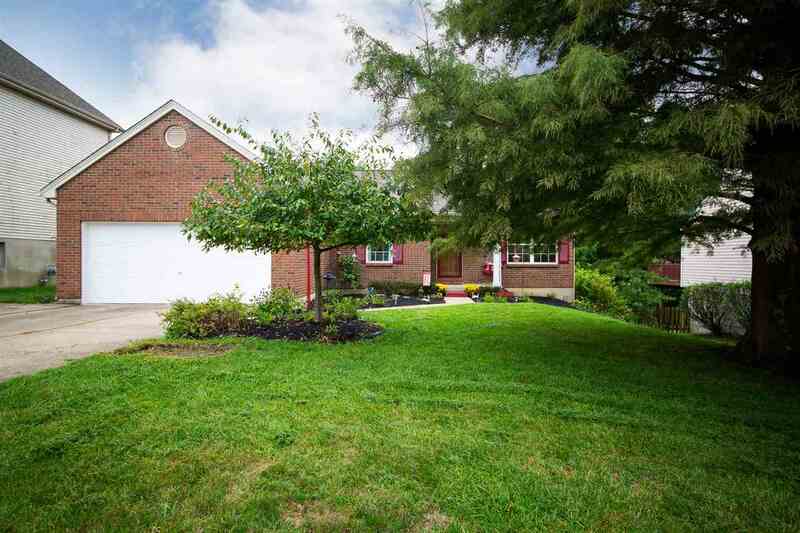 Mann/Gray/Ryle schools, no HOA fees, more! When can you move in?